I went to hang out with my friend Aaron in Boston today so I knew I had to take my 365 there. We went to check out the Boston Institute of Contemporary Art and then we got some dinner over at Charlies Kitchen in Harvard Square, the vegetarian Ruben sandwich was phenomenal! 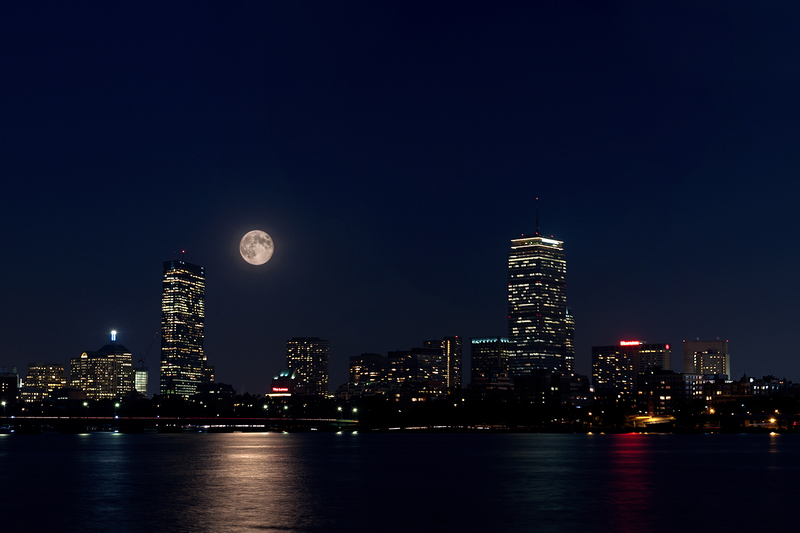 Anyway, I asked Aaron to take me somewhere where I could get a nice shot of the Boston Skyline, and the moon was bright and HUGE. I left my tripod in my car but Aaron was nice enough to lend me his to take the shots, it was a little windy and I got some slight motion blur on the buildings. This is multiple images and multiple exposures. The moon section was also zoomed in with my 300mm lens for a more dramatic event.